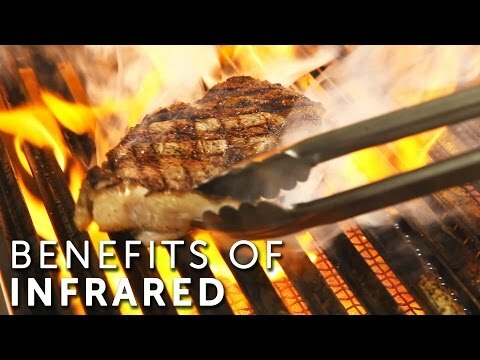 The Solaire 27 inch all infrared grill is fantastic. It is quick, efficient and sears in the natural moisture. We could not be happier with our Solaire. 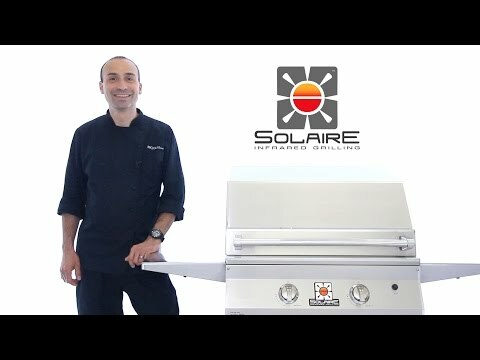 Even being the base model Solaire, this grill still heats to around 1000 degrees on the high setting. This is great for searing and cooking steaks or burgers, and the meat cooks evenly and quickly. The low setting is still relatively hot, but you can still cook more delicate items such as fish with ease as long as you remember to keep the grilling surface lubricated. Assembly and setup was easy, and the grill is constructed of quality stainless steel. My only problem was with the starter breaking after about four uses and Solaire's poor attitude towards honoring the warranty. I posted more comments about that in the service/delivery section. While waiting on a replacement starter, the grill was easy to match light. In fact, it's quicker and easier to match light the grill than to use the starter, as it sometimes will not light the burners. Would this grill be big enough for a four member household? That is my biggest concern--that the grill area is too small. Hi, Ken. You could cook for a family of four with this grill. 23 X 12 3/4" 24 X 19 1/4" 24 X 19 1/4" 24 X 18"